 The Professional, Scientific, and Technical Services sector in Macomb County consists of a robust network of businesses offering specialized skills, knowledge, experience, capacity, ethics, and creativity. The establishments in this sector provide services in both business to business environments and direct to consumer. Activities performed include: legal advice and representation; accounting, bookkeeping, and payroll services; architectural, engineering, and specialized design services; computer services; consulting services; research services; advertising services; photographic services; translation and interpretation services; veterinary services; and other professional, scientific, and technical services. These activities require a high degree of expertise and training which can be gained at one of Michigan’s 15 public universities. 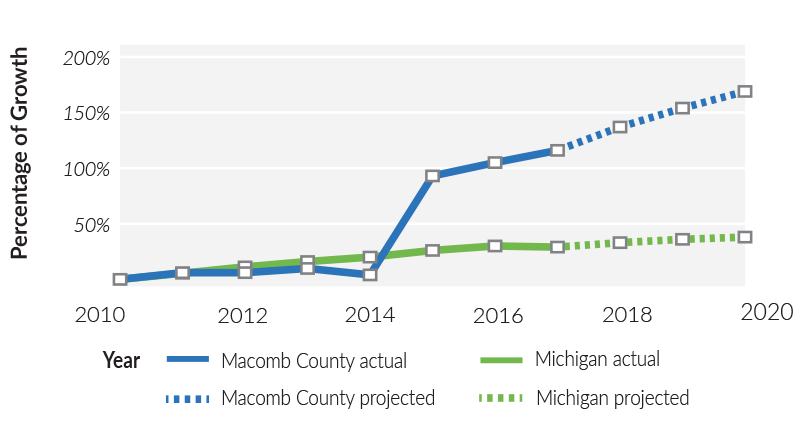 Since 2009, Macomb County has nearly doubled the number of Professional Services workers within the county, growing from 12,000 to 23,000. During this same time the state of Michigan and the United States have grown by 33.9 percent and 18.1 percent respectively. This is triple the state average and more than six times the national. Engineering services has been the strongest growing sector within the field. The continued advancement and increase in occupations in these industry codes have helped Macomb County’s economy grow. Historically, several of these industry and occupation clusters were geared toward operations based industries but today they have evolved to include innovation in new industry sectors ranging across fields such as IT and management operations. General Motors (GM) is a global automotive company that was founded in 1908 and is the world’s largest U.S.-based automaker. Macomb is home of the GM Technical Center facility and Warren Transmission. The "Tech Center" is a 710-acre campus located in Warren that currently houses 19,000 employees. Recent investment includes over $1 billion in renovations and the addition of 2,600 jobs. The investment also includes plans for a new design studio, the renovation of the R&D facilities, a new IT building, additional testing facilities at the Advanced Energy Center, the renovation of existing offices and the construction of additional parking. Founded in 1968, Anderson, Eckstein and Westrick (AEW) is a leading design firm providing civil engineering, architecture, geographic information systems (GIS), consulting and surveying services to municipal, institutional and private clients. AEW recently secured a Transportation Alternatives Program (TAP) grant in the city of Mount Clemens to assist in revitilazation efforts, providing both the design engineering and construction observation services to help with functionality, aesthetics and safety for the city. Christian Financial Credit Union is investing in a new $12 million headquarters on 8.5 acres in Sterling Heights. The 40,000-square-foot facility will be three times the size of its current headquarters and will house 100 employees. The site, chosen because of the growth in Macomb County and improvements to the Van Dyke Corridor, will feature amenities for the community that include walking paths and an orchard. CFCU has nearly $400 million in assets and serves 42,000 members through its 10 metro Detroit locations. With more than 1,700 existing office spaces in the county currently on the market, and more than 1,000 development ready sites for office use, we can find a place for your business to grow. Elements Materials Technology Warren Inc.
Financial Services Of America Inc.